Comment: I am renovating my laundry room. I need to change the location of my washer and dryer. I can afford to move forward as soon as I have all my quotes in place. Comment: Installing new heat pump to replace old. Possibly adding some duct work. Comment: Want to replace outdated thermocouple/electromagnetic floor furnace (2) safety valves...push rod resets..(gas flow controlled with 24 V selonid valve) with 24 volt valve that does not require manual reset. Retrofitting can be done âon benchâ After easy burner removal, and crawl space is generous. Must have some background in gas appliance service and repair. Pay commencement with skill and experience, and knowledge of source for parts. 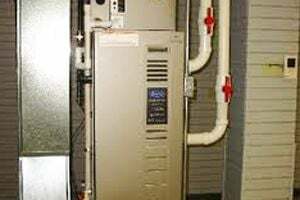 Comment: Selling home and need HVAC inspected. Comment: Planning on buying a home that possesses only floorboard heating and wall cooling. Jahnke Heating & Air Conditioning, Inc.
Medford Heating & Furnace Contractors are rated 4.83 out of 5 based on 107 reviews of 5 pros. Not Looking for Heating & Furnace Systems Contractors in Medford, OR?